Renovation Wishlist // 02 Planning a wet bar for the addition. Time for another round of Renovation Wishlist! 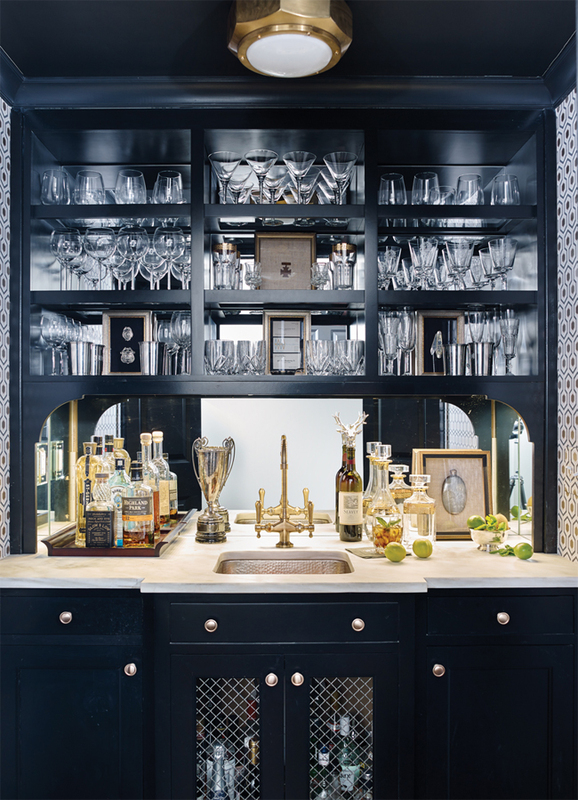 This time I am talking about a wet bar. This is a solution I have come up with for one of the interior spaces we already have. Currently our washer and dryer are tucked in a closet in our dining room aka new library. But, one of the spaces included in the addition will be an actual laundry room… a luxury if you don’t currently have one! Therefore, the closet space that currently holds this equipment will be vacant. 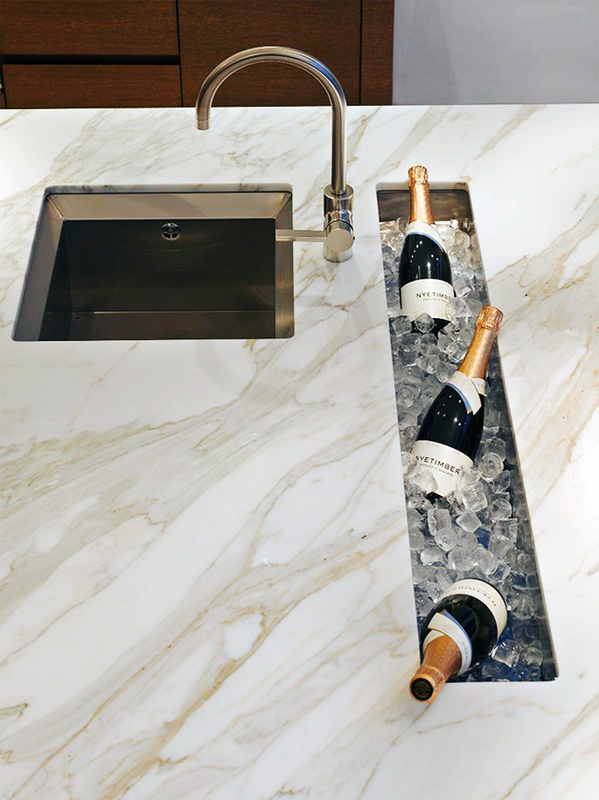 My first thought was a wet bar and I think it will be the perfect solution!! This closet is right off of the kitchen, so the additional storage and counter space would almost be an extension of the space. 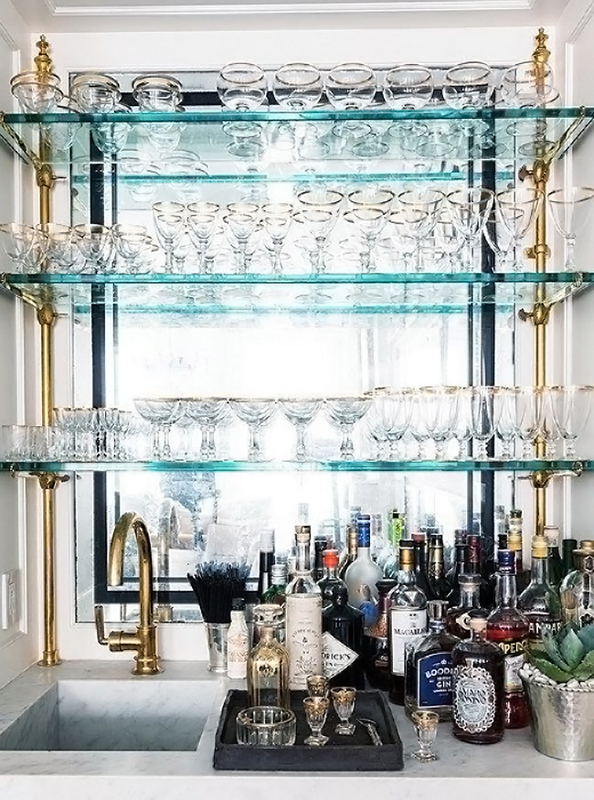 And while our bar cart will 100% remain, this area would be perfect for wine storage and additional glasses and serving piece storage. I also love this idea for entertaining! And now that this space would be opposite our new opening to the addition, it would be nice to be able to reflect some more natural light into the space. So a mirrored backsplash might be a good idea… I’ll have to wait until our plans are detailed a little more before dialing down finishes, but I am definitely storing this idea away. Love all of the above. right now, my bar resides in the corner of my kitchen, it use to be part of the bookshelf in the living room. I like in the kitchen currently. Can’t wait to add a few holiday touches to it. Not a fan of mirror backsplash unless its antique mirroring.